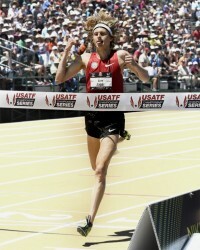 Evan Jager continued his clear, convincing run as America’s best steepler — not that anyone was doubting his status there. The American record holder confidently claimed his third consecutive national title in the event, clocking an 8:18.83 and a solid one-second victory. 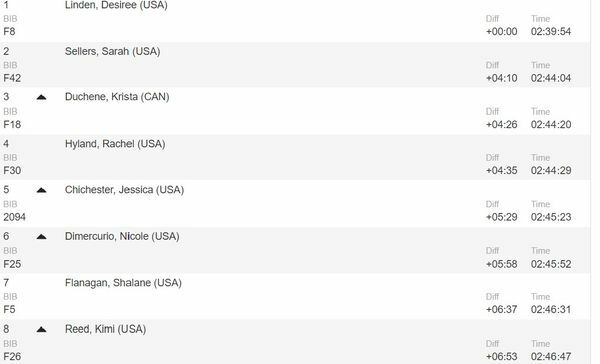 In another display of remarkable consistency, Lopez Lomong came home in third place in the 1500m with his time of 3:39.10, marking the sixth time in the last seven years that he has taken a medal home from the US Championships. 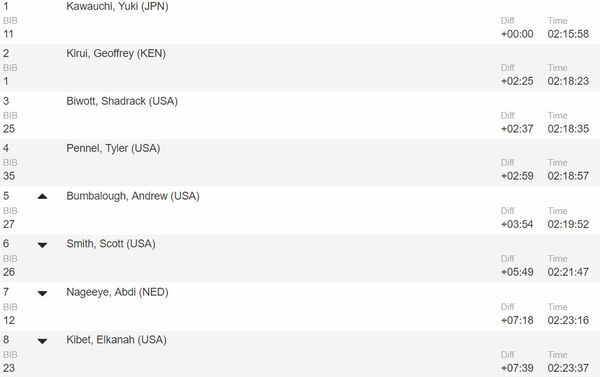 Meanwhile, their teammate Andrew Bumbalough produced a quality showing in the 5000m, going up against four runners with PB’s of 13:16 or better… and beating all but one. 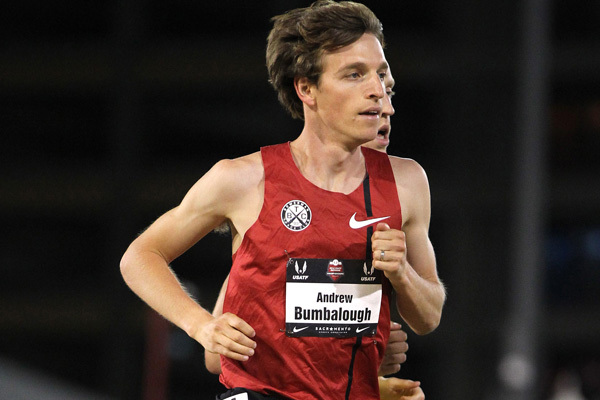 Bumbalough made a late bid for the win with two laps to go, and hung on for a runner-up finish to perennial champion Bernard Lagat. 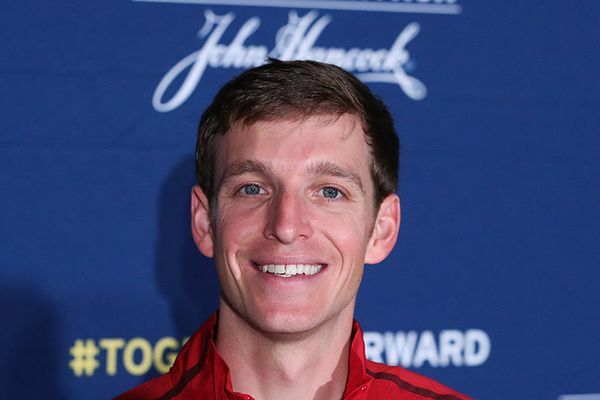 The Tennessee-native posted a 13:32.01 in his bid for his first track national title, marking one of the quicker efforts in recent USATF 5000m races. 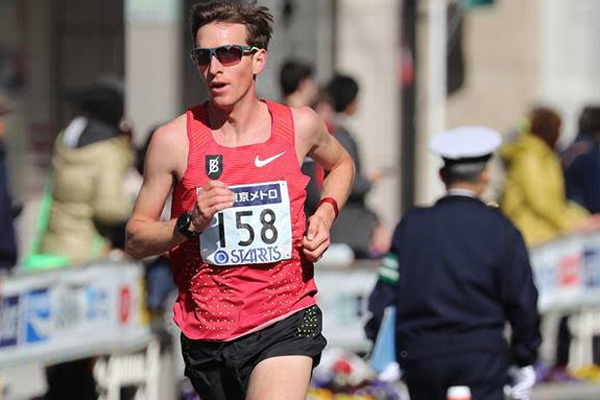 Sean Quigley also showed nicely with a fourth-place finish in the 10,000m. Quigley was one of the last men standing in a deep field, as he hung in with the small breakaway pack that winnowed the pretenders from the contenders. 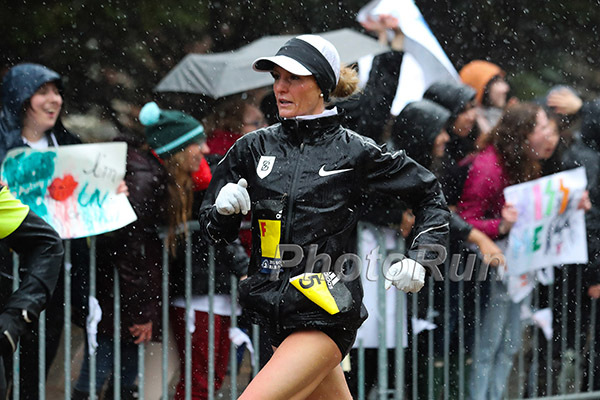 His final time was 28:29 and his fourth-place finish represents his best showing at a US Championship on the track.